This small rectangular plaque is attached to a short metal pole. The plaque appears to be a man-made black synthetic stone or plastic material. Above the inscription, faded to the point of being illegible, is a POW/MIA logo. Between the logo and inscription is a row of four stars. 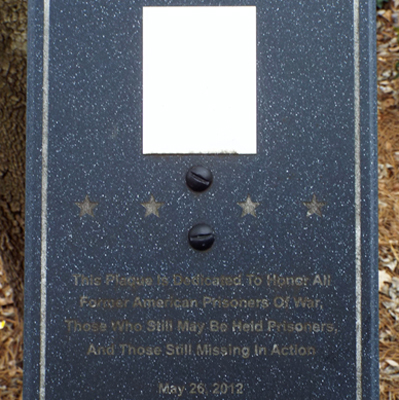 The plaque stands at the corner of N. Main Street and E. High Avenue, on a brick plaza, or, Memorial Park. Other memorials include Veterans Memorial, Revolutionary War Patriots, African American Gold Star plaque, World War Two Honor Roll, WWI Doughboy statue. On the corner across E. High Street is a plaque to General Maxwell Reid Thurman. Across Main Street at the restored High Point Train depot is the Plank Road Foreman statue and “High Point” marker. 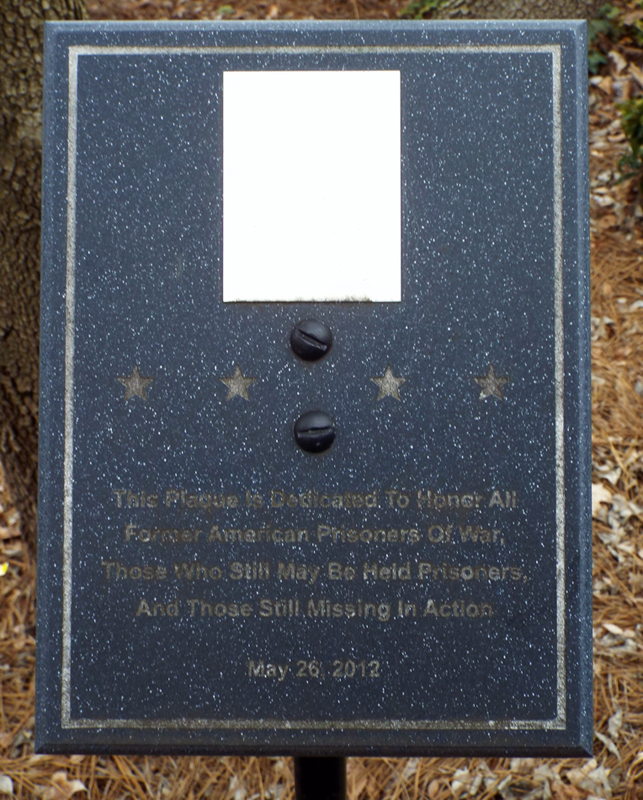 The plaque stands on the Memorial Park lawn.